Nelson Mandella once said: "Education is the most powerful weapon which you can use to change the world." The United States once held the distinction of having the best colleges and universities in the world. People came from all over to study here. That was once. It is no longer the case. This is clearly one of the signs that the United States is falling behind in its standing in the world. It is a nation that has been taken over by bankers and big money interests who have skillfully devalued the dollar, created an inflation that has grown faster than workers can earn money to live, and in the process, destroyed the great universities that once turned out great thinkers, educators and creative people capable of lighting the world stage. The bankers and big money interests have literally taken over the nation's colleges and universities and made a big business out of them. 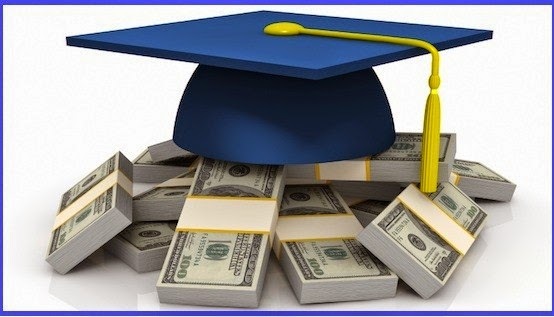 A recent story by Astra Taylor and Hannah Appel published in TomDispatch noted that a relatively new phenomenon called "for-profit" instutions has emerged since the 1990s when Bush Administration legislation weakened government oversight of colleges while expanding their access to federal financial aid. This created an industry of specialized schools and short-term training programs open to Wall Street investors. "While the for-profit business model has generally served investors well, it has failed students. Retention rates are abysmal and tuitions sky-high," the article said. They noted that "graduates of for-profit schools generally do not fare well. Indeed, they rarely find themselves in the kind of work they were promised when they enrolled, the kind of work that might enable them to repay their debts, let alone purchase the commodity-cornerstones of the American dream like a car or a home." The advent of for-profit schools has also impacted the ivy league and "public" universities, also found that tuition was a preferred form of revenue growth. They also began linking with Wall Street, which meant investors are expecting profits even from the so-called non-profit schools. Consequently it is now almost impossible for working class or even middle class students to graduate without a milstone of debt hanging around their necks. The situation has grown progressively worse under the Trump Administration and the appointment of Betsy Devos as Secretary of Education. Devos has been pushing to divert federal education dollars from public to charter schools, and institute a school voucher system, which, if approved, would create another educational block on local levels. Also Rep. John Kline, R-Minn., chairman of the House Education Committee, wants to pour more federal dollars into special education. Meanwhile public school teachers are striking all over the nation because of low wages and lack of money to buy books and school supplies. The factors behind the rising costs of a college education also include the high cost of textbooks, food and dormitory rent. Students can no longer afford school on what they can earn during the summer months and working part-time while attending class. This has forced them into accepting government student loans which contain an ugly hook. Once the money is accepted, it is a debt that must be paid back, with interest, no matter what. Even bankruptcy court cannot create an escape. Failure to pay that loan places a black mark on the graduate's "credit rating," which has become a deciding factor in obtaining credit for such things as buying a home, buying a car, or even getting a job. And here we find the ingredients for enslaving the masses. It captures the brighter members of our society, the ones who make the effort to get that college degree, but then fail to get jobs that pay well enough to allow them to pay off that government backed student loan. And the loans these days now accumulate into the tens of thousands of dollars. This is a horror story that should never have happened in a nation as grand as ours once was. Indeed, the latest statistics show that an estimated 40 million Americans suffer under student loan debt, with an estimated $1.3 trillion owned, according to the Federal Reserve. The average debt is nearly $30,000. This is as much as many of us used to pay for a house. And this debt grows with monthly interest. It may be of interest to note that German universities, which began charging tuition in 2006, have since abolished tuition altogether. Gabrielle Heinen-Kjajic, the minister for science and culture in Lower Saxony, explained: "We got rid of tuition fees because we do not want higher education which depends on the wealth of the parents." Democratic Senator Elizabeth Warren, who has been the champion against big corporate controls of the nation's economy, recently sponsored a bill that would have helped reduce student loan payments by increasing taxes on wealthy households. She warned that outstanding student debt is an "economic emergency that threatens the financial futures of Americans and the stability of our economy." The bill was blocked by a Senate Republican filibuster. Senators failed to garner the 60 votes needed to overcome the filibuster. The final vote was 56-38, with all Republicans voting NO. Warren said the vote shows Americans "who we work for in the United States Senate: the billionaires."